Friend of murdered Saudi dissident Jamal Khashoggi sues NSO Group for allegedly providing Saudi Arabia with spyware used against dissidents. 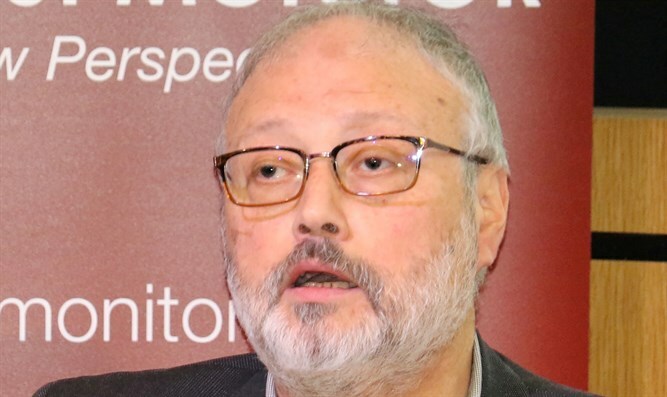 A Saudi dissident filed a lawsuit against Israeli surveillance company NSO Group for allegedly providing Saudi Arabia with spyware that lead to the murder of journalist Jamal Khashoggi at the Saudi consulate in Istanbul in October. Omar Abdulaziz filed the lawsuit in the Tel Aviv District court on Sunday. Abdulaziz, a critic of the Saudi government who has received asylum in Canada, claimed that he was friends with Khashoggi and that he was targeted by the same spyware. According to Abdulaziz, in June of this year he clicked on a link on his mobile phone, and that is when he believes his phone was exposed to the spyware. He believes that the resulting access Saudi Arabia had to his phone was the "crucial factor" that led to the brutal murder of Khashoggi. The lawsuit cited news reports that NSO Group sold the technology behind the spyware to Saudi Arabia for $55 million in 2017. Abdulaziz is seeking NIS 600,000 ($160,000) in damages and a court order preventing NSO Group from selling its technology to Saudi Arabia. NSO Group categorically denied that its technology was used in the murder of Khashoggi or in attempts to silence dissidents, calling the lawsuit “completely unfounded."